The Carmen Würth Forum designed by architect David Chipperfield takes shape. The 18th July saw the inauguration of the first part of the complex, with a large events hall and chamber music concert hall. 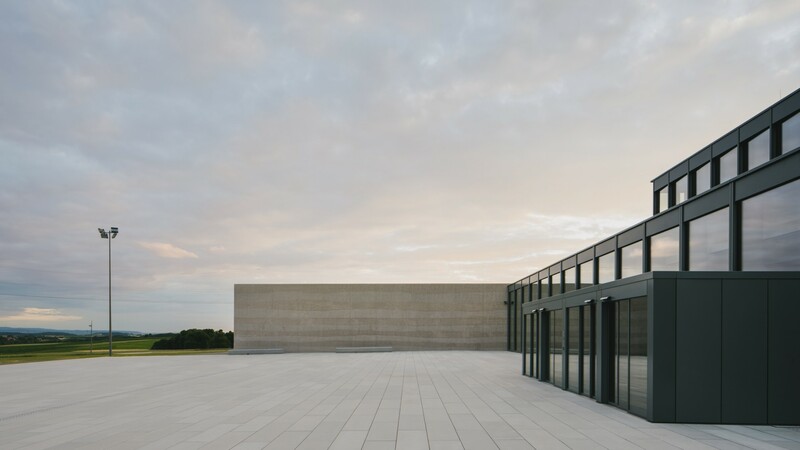 The 18th July saw the inauguration of the new arts centre inKünzelsau, Germany, the Carmen Würth Forum designed by the David Chipperfield Architects Studio. The forum is a tribute that entrepreneur Reinhold Würth, with his famous company of assembly and fastening materials, has dedicated to his wife Carmen for her 80th birthday. The arts centre designed by David Chipperfield is located a short distance from the company complex on a gently sloping green area. The new building has been inserted into the landscape and, in particular, the chamber music hall is located underground, to exploit the natural orography of the area and to improve acoustic insulation. Two supporting concrete walls cast on site, with an effect that recalls the sedimentary rocks of the area, mark out the Forum and the large outdoor space. The space filters the inside and outside and is used for open-air concerts, like the one by famous singer Sting to be held in the opening week. The outside area leads to the foyer, lit by natural light through large windows and then to the great events hall that can seat 3500 people where, thanks to the covering of steel beams, the space is completely free of supporting pillars. Inside, the gaze is immediately captured by the strong red colour of the floor, also used for the seats in the chamber music hall, which recalls the colour of the company logo. Work is continuing on the second phase of the project, which will include a conference centre and museum that will house the Würth art collection.